Have you ever thought about being a police officer? Maybe you’ve wondered whether you could deal with an angry mob late at night, or daydreamed about driving a police car with the blue light flashing and sirens wailing. 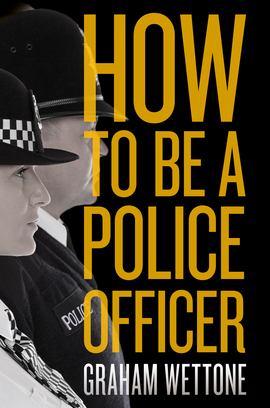 How to Be a Police Officer takes you from those first thoughts about joining through to the training itself and to the real work involved in policing. A thirty-year veteran of the police service in London and across the UK, Graham Wettone now trains prospective police recruits and acts as a policing expert for Sky News. In this book, he provides insider tips for those seeking to take their first steps in the service, explaining things no one else will tell you about being a police officer, from the recruitment process to how to use handcuffs. A must-read for anyone curious about the reality of life on the front-line, How to Be a Police Officer offers fascinating insights into the job taking in the upheavals that have shaped the landscape of British policing and explaining what it really takes to make it in the force. "fascinating […] a must-read for anyone curious about the reality of life on the front-line"